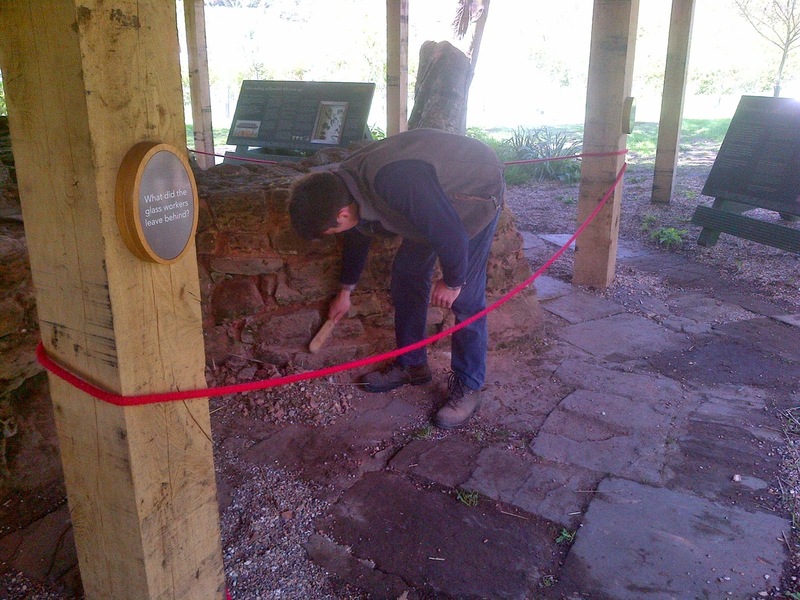 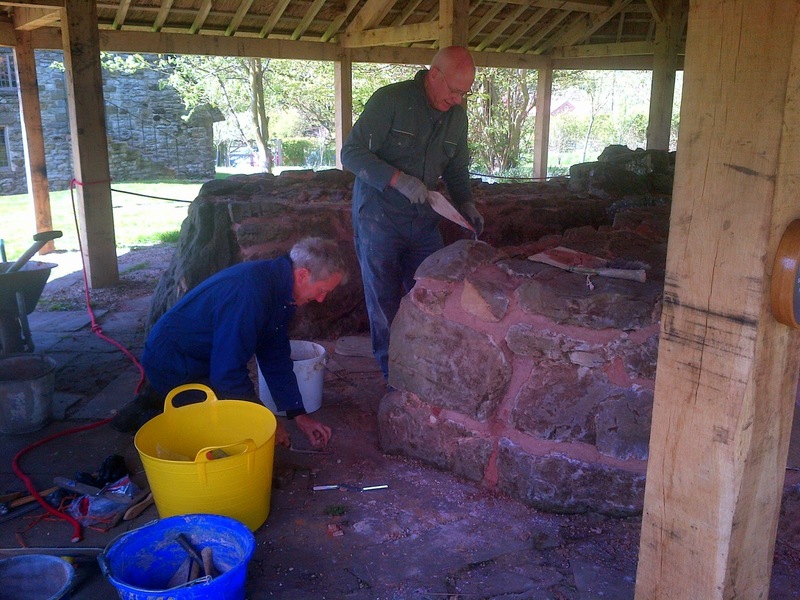 Here we see volunteers repointing the glass furnace, using a 3:1 sand and lime mortar which has a russet dye added to it to give what archaeologists believe to be the correct colour. 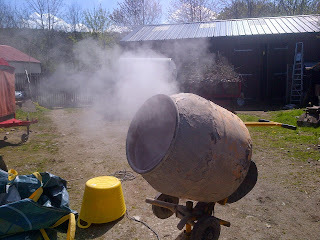 The initial exothermic reaction creates a great deal of heat. 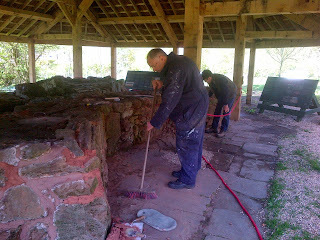 Peter and Jeff chiselling out the old mortar and putting in the new lime mortar.